Childlike in his innocence but grotesque in form, Frankenstein’s bewildered Creature is cast out into a hostile universe by his horror-struck maker. Meeting with cruelty wherever he goes, the friendless Creature, increasingly desperate and vengeful, determines to track down his creator and strike a terrifying deal. 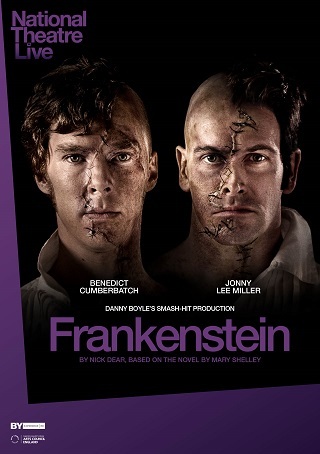 Directed by Academy Award®-winner Danny Boyle (Trainspotting, Slumdog Millionaire), Frankenstein features Benedict Cumberbatch (12 Years A Slave, Sherlock) and Jonny Lee Miller (Trainspotting) alternating roles as Victor Frankenstein and his creation. Sunday November 4th at 11am - Miller as Creature. Wednesday November 7th at 6pm - Cumberbatch as Creature.